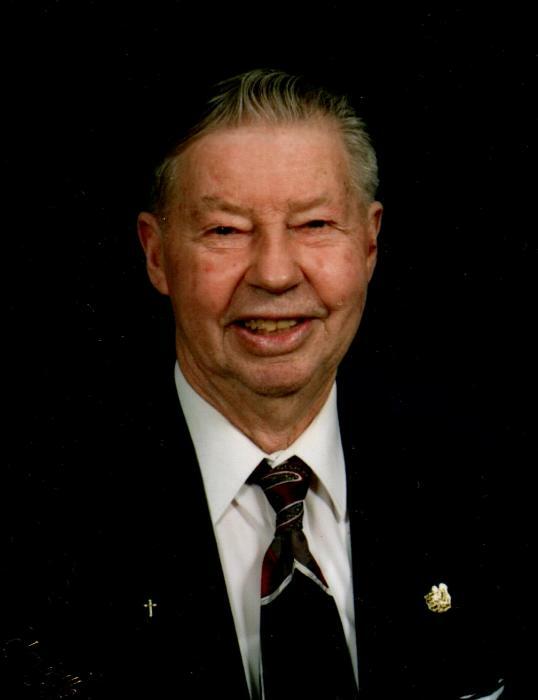 Kenneth “Ken” I. Boyer, age 91 of Clintonville, passed away Friday, February 1, 2019 at the ThedaCare Medical Center in Shawano. Ken was born on September 20, 1927 on the home farm in the Town of Larrabee as the son of the late Lothar and Esther (Krueger) Boyer. He graduated from Clintonville High School in 1945 and continued working on his family’s farm. Ken was united in marriage to Irene Glocke on October 19, 1958 at the St. Martin Lutheran Church in Clintonville. Ken was active as a member of St. Martin and rarely missed a Sunday. He served as an Usher for many years and was also a past member of the Board of Elders. Ken and Irene enjoyed dancing and were members of the Jolly Mixers Dance Club. Ken’s life can be summed up using the words; faith, family, and farming. He enjoyed spending time with his grandchildren and will be missed for the quiet strength and love he had for his entire family. His Sons: Duane (Jodi) Boyer & Raymond (Mary) Boyer, Clintonville. Grandchildren: Tyler, Zachary, Barbara, Sarah, & James Boyer, Clintonville. Sisters: Jeanice Hartfiel & Dorathea Blazek, Appleton. A Sister-in-law: Lois Glocke, Clintonville. Also numerous nieces and nephews. Ken was preceded in death by his parents, his wife Irene in 2012, a brother Llewellyn (Gertrude) Boyer, a sister Laverne (Harold) Gauerke, brothers-in-law; George Blazek & Harvey Hartfiel, as well as numerous other brothers-in-law, sisters-in-law, and other relatives. Ken’s family would like to thank the staff at Aster Retirement Community and Greentree Health & Rehabilitation Center for the wonderful care he received over the past 4 years.